Google+ has recently become the second biggest Social Network; and it is more than ready to scale your business online forever. 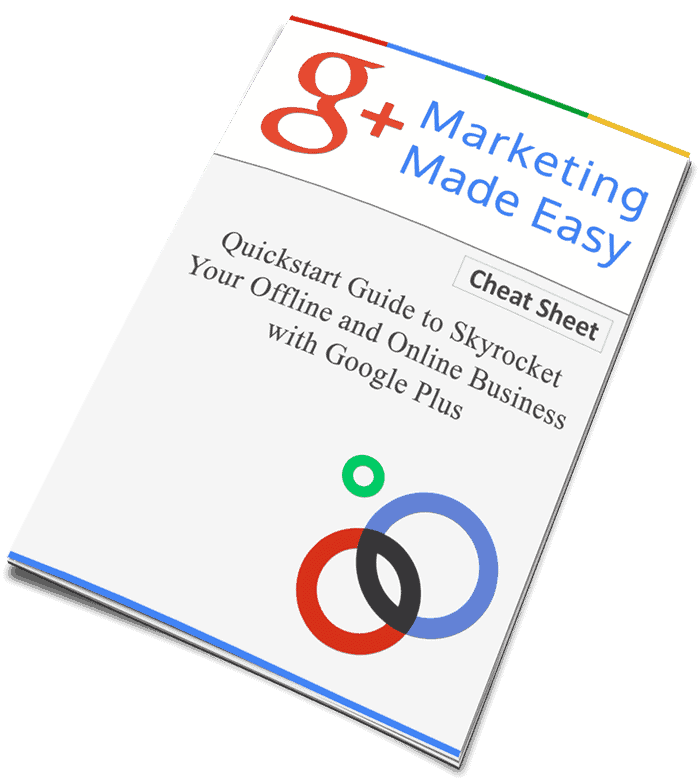 Would you like to know more about Google+ and how you can effectively use it to showcase your books and business interests? 48% of fortune global 100 brands have their presence on Google+. Google+ has around 350 million active users. Google+ has a remarkable growth rate of 33% per annum. 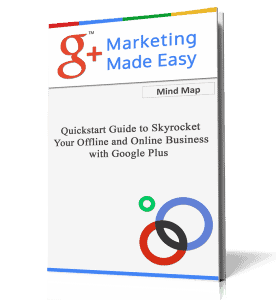 41% of B2C and 39% of B2B marketers use Google+ for their business. Approximately 1.5 Billion images are uploaded on Google+ every week. 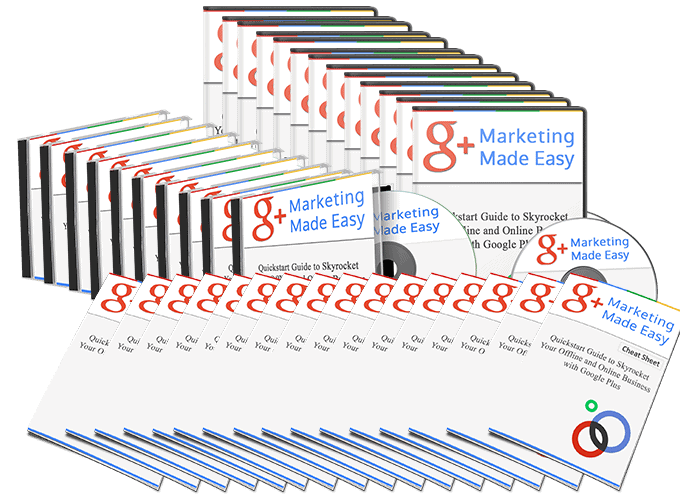 Google+ Marketing Made Easy HD Video Training! This Unique and easy to understand training video series will reveal the exact steps you need to take in in order to position your business on Google+. You will also learn how to cater to widely scattered audience, so as to facilitate mass advertising at minimal cost. Video #1: Introduction to the Seven Steps to Google+ Success. 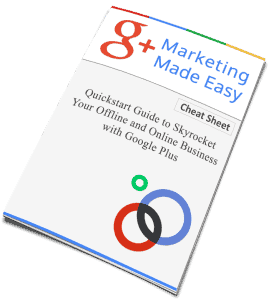 Video #2: How Google+ Functions and the elements of a Google+ Page. 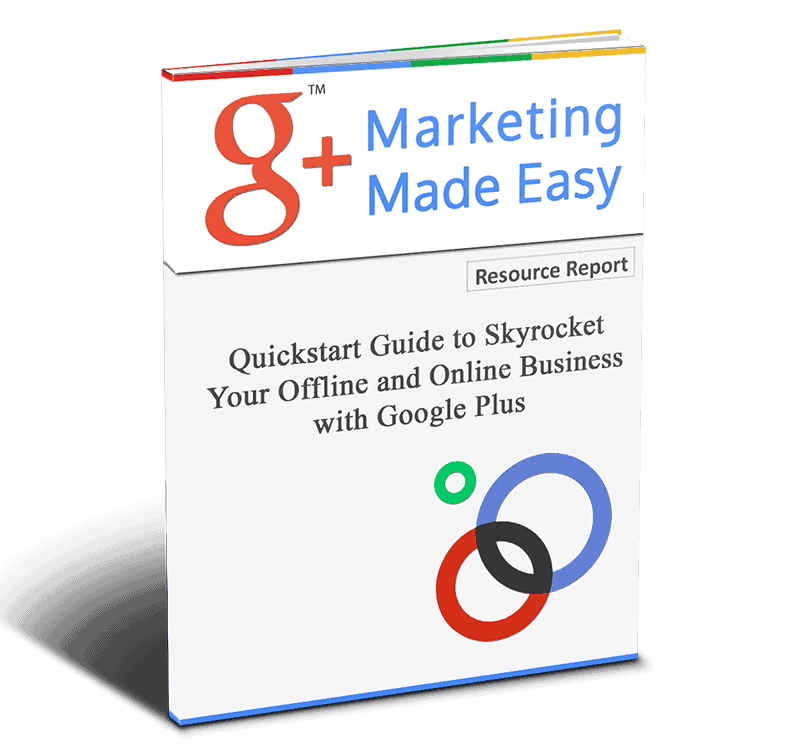 Video #3: Why Google+ is essential for your business growth. Video #4: How to create your Google+ Page. Video #5: How to set up your Business Google+ Profile images, header and background. Video #6: How to create the “about” section. 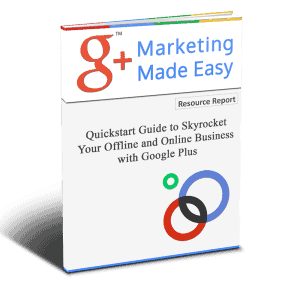 Video #7: Learn about Google+ Marketing Tools to grow your results. Video #8: How to make eye=catching, attractive and valuable posts and drive traffic with likes, comments and sharing posts. Video # 9: How to get followers and keep them. The Guide will explain every step in detail. This cheat sheet is a handy checklist you can print out and use to track your progress and attain your goals. This really cool mind map outlines the complete training as well, giving you an overview of every step you need to take. 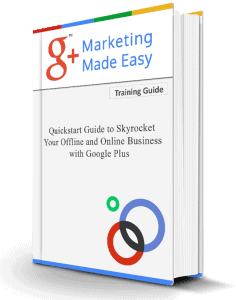 Here you will have access to a complete niche research report regarding the google+ marketing potential: Videos, Tools, Training courses, Blogs, Forums, Affiliate programs, etc.